The excise tax on premiums paid for high-cost employer-sponsored plans, also known as the Cadillac tax, is an important provision of the Affordable Care Act (ACA) and should be retained even if the larger law is repealed because it will not only help control the growth of health care spending but also will provide revenues needed to pay for any potential ACA replacement, according to a new paper (PDF) by experts at the Urban Institute and the Center for Health Policy at Brookings. However, the tax should be improved to increase political acceptability and to correct genuine shortcomings in the current law. 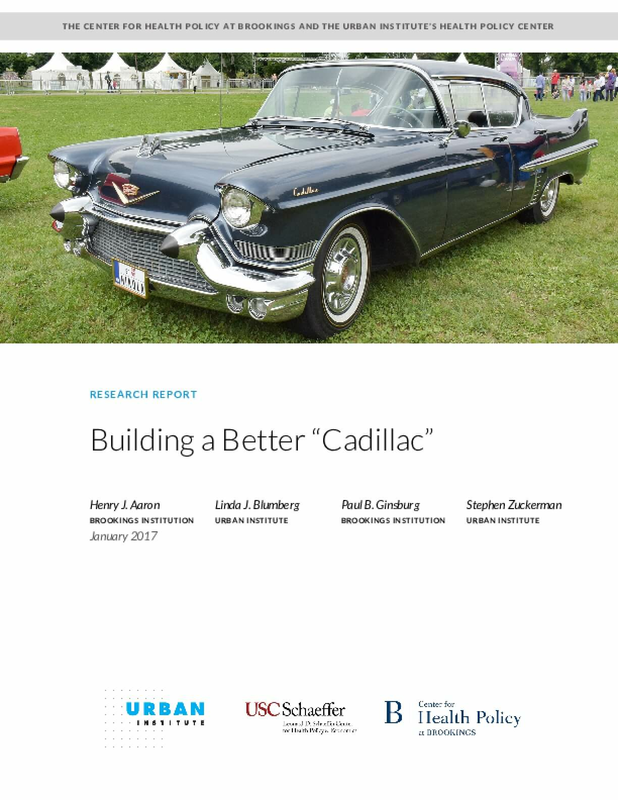 Title: Building a Better "Cadillac"